Images are an integral part of content marketing, they are required not just for blog posts, slides or infographics but for posts to social media itself. One of the challenges for content marketers is producing professional images quickly and efficiently. 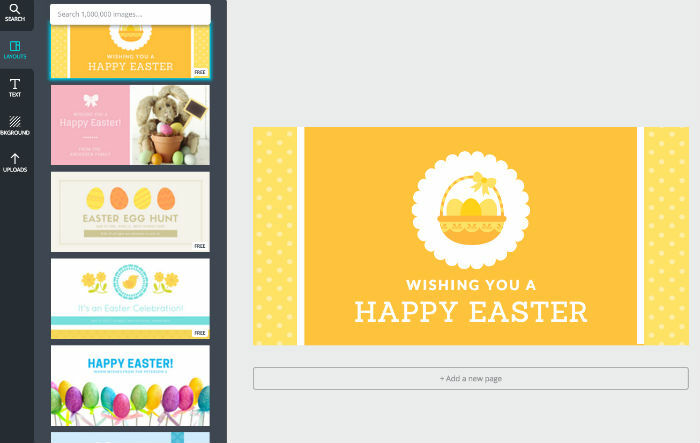 Your new best friend is Canva, an image tool designed for content marketers. At BuzzSumo we love data and the data on the importance of images is unequivocal. 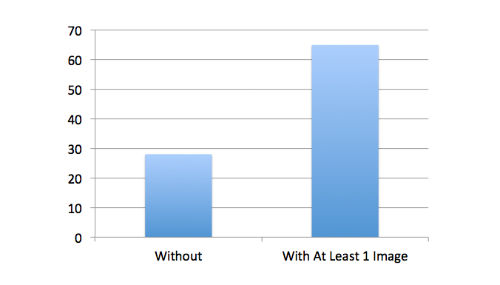 93% of the most engaging posts on Facebook are images. According to Neil Patel blog posts with images get up to 9 times more views than posts without images. Our own BuzzSumo study of 100 million articles found that articles with images got twice as many social shares as posts without images. The power of images was demonstrated only last week by a Guardian post on Overpopulation and Overconsumption. The article amassed over 300,000 shares very quickly, ten times more than any of the Guardian’s other content last week. 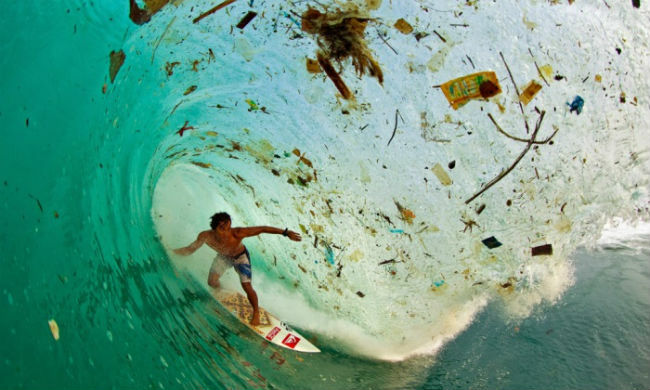 The post included dramatic images such as the one by Zak Noyle below, see more at @zaknoyle. Images not only matter in blog posts or slides but in social media posts themselves including Facebook posts, LinkedIn updates, Google Plus posts and even Tweets. 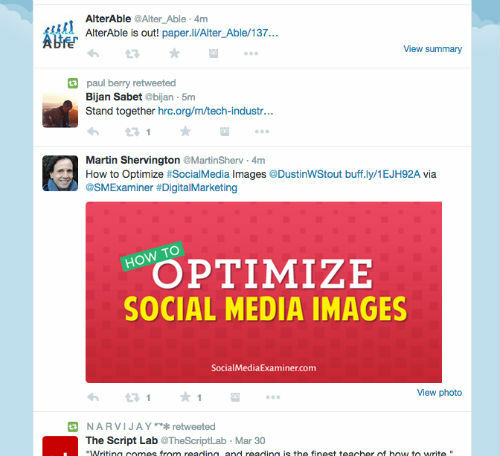 For example, you get much more attention in a Twitter stream by including images. The post from Martin stands out very clearly in the stream above. Guy Kawaski recommends that you use an image with every tweet. If you are part of a large content maarketing team you may have the luxury of access to designers or graphic artists. Even if you do, there will be times when you need produce images quickly but images which are also professional and reflect well on your brand. What you need is a tool that is easy to use, quick, flexible and that produces great images. Thanks to Guy Kawasaki and Peg Fitzpatrick your prayers have been answered. They have produced Canva, an image tool that has an easy to use interface but which also produces beautiful graphics. The team at Canva really understand social media and this is more important than you might think. Whilst you can use sophisticated tools like Photoshop or Pix.lr, the Canva team understand the challenges you face in social media and have designed the tool around your needs. This is immediately obvious when you open Canva. They have formats and image sizes set up for all your key images, some examples are shown below. Once you chose a format you can start creating your image. Canva are always ahead of you, thinking about what you need. For example, it is currently Easter and when I open up the format for my Twitter post image, Canva includes in the layout choices a range of Easter images that I can quickly change and edit. 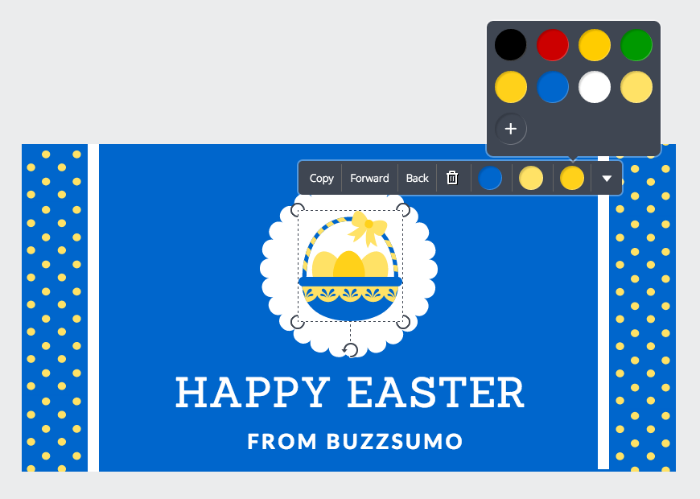 Canva allows you to quickly edit text and colours. They start with a simple palette but you can add your own colours. 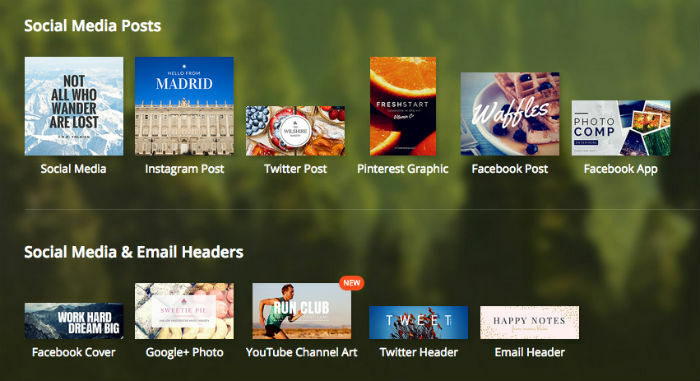 Canva provides a wide range of icons and images. Within the tool you can search their library of over 1m images. There is a good mix of free and paid images, which are typically $1. Whilst Canva’s Premium options are tempting, they also allow you to upload your own photos or graphics. 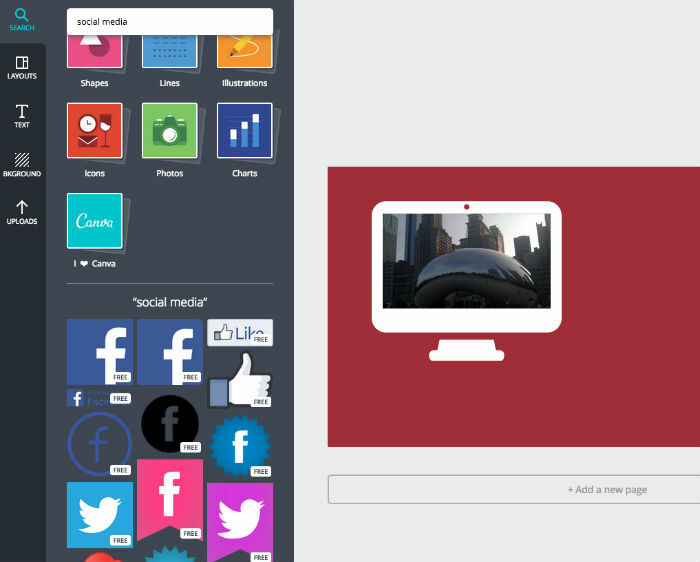 Canva have a wide range of icons, charts and images. For example, below is a search for ‘social media’ images which brings up all the logos and images I need. The Canva interface is a joy to use, just drag across an image, text box or icon. For example, I can search for a PC, find the image I want and then drag this across to my design. To make this image my own I can add an image to the PC. I simply upload my image of the Chicago bean and then drag this to the PC screen and Canva drops it in automatically. Job done! See above image. Adding text is a breeze. Just choose a text style from the left column and drag it over to your image. Then you can adjust, change and color as you wish. If you are not using Canva, what are you waiting for? Did I mention it is also free? Yep, free. You can pay $1 for their library photos or upload your own. Head over to Canva’s site immediately. They have lots of guides and tutorials, not that you need them with this intuitive tool. In less than ten minutes you will be producing beautiful graphics to enhance your content marketing.